How do we go about taking back our faith? We must understand what our faith represents and from whence it comes. Faith challenges the powers that be to do justice for all. Our faith hates violence and tries to reduce it and exerts a fundamental presumption against war, instead of justifying it in God’s name. Faith creates community from racial, class, and gender divisions. While I believe in the hope of “God bless America” it is found nowhere in the Bible. Faith in God desires peace for all nations. Faith regards matters such as the sacredness of life and family bonds as so important that they should never be used as ideological symbols or mere political pawns in partisan warfare. The best contribution of religion is precisely not to be ideologically predictable or a loyal partisan. To always raise the moral issues of human rights, for example, will challenge both left- and right-wing governments that put power above principles. Christian faith in action is rooted in a much deeper place than “rights”…that place being the image of God in every human being. We must always remember that the heinous situations we observe in today’s society are in many cases made ‘legal’ through politics…and I don’t mean the politics of God but of man. As long as we are citizens of earth we will be ensconced in the politics of man and we must use our faith to tell us when it’s time to take a stand. While the culture of Christ is a culture of life we have over the many years, even in ‘modern times’, moved closer and closer to a ‘culture of death’ with the approval of the ‘culture of man’. This happens when God is removed from the ‘political equation’. First, what is “atheism”? It is the belief that there is no God and thus no one other than self to be accountable to. Unfortunately, atheism today is not a minority position. On the contrary, in most developed countries, atheistic thinking has already achieved dominance. Not everyone in these societies uses the word atheist to describe their philosophy. The popular form of atheism of both Europe and North America is very much a practical form of unbelief. It is not so much as an intellectual denial of God but rather the moral exclusion of God from one’s life. While many do not want to call themselves ‘atheist’, they reject many of the principles of Christianity and Judaism. What’s important is how the culture behaves, not what they call themselves. We might call many of these persons ‘functional atheist’…that is someone who behaves as an atheist regardless of any religious beliefs the person may have. These ‘functional atheist’ thrive in a culture in which religions have comparatively little relevance. So long as these people tend at work and at home to set aside rather than to act on their religious beliefs in any significant way, they might as well call themselves atheist even if they don’t like the word. They live in a secular environment in which religious institutions are not the prime movers. [Philip Kuchar,”The Culture of Atheism”, The Secular Web, June 17, 2007]. For the last century or so, we have lived in a predominantly secular and functionally atheistic society, or at least one that is quickly moving in that direction. 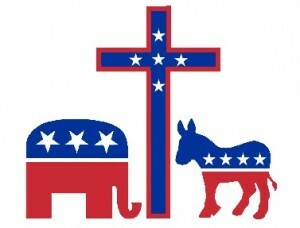 The government, the media, the academic world, the entertainment industry, and the medical and legal professions…politically driven…have all set aside their religious beliefs in favor of secular values. It is only since 1995 that the term “culture of death” first entered common usage. Pope John Paul II mentioned it several times in his 1995 encyclical. In it he wrote about the intrinsic value of life…which must be welcomed and loved from conception to natural death. [John Paul II, Evangelium Vitae, The Holy See, 1995]. In it he warned that the value of human life was fast eroding. Modern culture is coming to consider human life as merely a means to some other end…such as efficiency or economic productivity or personal convenience…not solely an end or “good” in itself. We are now in the midst of a ‘new cultural climate’ in which abortion, euthanasia, and other anti-life practices, such as human sterilization, capital punishment, contraception, and embryonic stem-cell research on aborted babies are being justified as “rights” in the name of individual freedom. [Ibid]. Our culture has become deeply attracted to death. A life which would require greater acceptance, love, and care is now considered useless or to be held as an intolerable burden, and therefore rejected. [Ibid]. Death has become the “cure-all solution” to the problems of the world. Instead of employing love and care and sacrifice to deal with difficulties, we now simply choose to kill our problems…literally. These policies are either put in place by politics or tolerated by those who put politics ahead of Christian principles. Do you think that such a way to approach life is a ‘body politic’ that God favors? Many of us have probably heard that religion has been the singular cause of more death than any other human movement. If we go back into history we see that indeed the lack of God and failure of Christian principles has caused numerous many more deaths. – Godless leadership must bear the blame for the vast majority of fatalities caused by war and mass murder in history. Between the years 1917 and 2007, approximately 148 million people were killed by godless political regimes in wars originated for godless purposes. [Ken Ammi,”Atheism”, Creation Ministries International, June 18, 2009…http://creation.com%5D. – The overall number of murders has increased dramatically. The United Nations Office on Drugs and Crime regularly conducts a “Global Study on Homicide”, and for the last several years, the average number of international homicides has been approximately 450,000 per year. [Robert Muggah and Renata Giannini,”Interactive Map Tracks Murder Rate Worldwide”, IPI Global Observatory, May 19, 2015]. – The number of suicides is even more shocking. According to the World Health Organization, more than 800,000 people kill themselves annually. The website suicide.org puts the number even higher…at more than a million…with one person taking his or her life every forty seconds. [“Media Center: Suicide (Fact Sheet”, World Health Organization]. – The New York Times as well as the American Society for Suicide Prevention report that the suicide rate in the United States has surged to its highest levels in three decades, with nearly 45,000 people dying from self-inflicted causes each year. [Sabrina Tavernise,”U.S. Suicide Rate Surges to a 30-Year High”, New York Times, April 22, 2016]. According to USA Today there is a suicide in this country every thirteen minutes. [Gregg Zoroya,”40,000 Suicides Annually, Yet America Simply Shrugs”, USA Today, October 9, 2014]. Do these sound like the kind of life styles…life and more abundantly…that God’s ‘politics’ would endorse? What would encourage such a disregard for life? But not to worry…next week it gets even worse. We will see how a society…politics…solves its ‘problems’ with death for a solution. It’s shocking and not pretty.